This is a box I never want to have to open. When it first arrived, a sense of relief came over me. It was finally here and it was one less thing I had to worry about. But then, my feelings about the box turned a bit to hatred. It sat on the dining room table for at least a week. I didn’t want to look at it, never mind touch it. My Dad finally moved it to the corner of the room on top of the sewing machine box, which is next to the container of dog food. I have to look at that box at least twice a day – one in the morning and once at night when I feed the dogs. And sometimes several times during the night when Toby wakes me up barking for food. My stomach turns when I look at it. I close my eyes, take a deep breath and remind myself of how lucky I am. 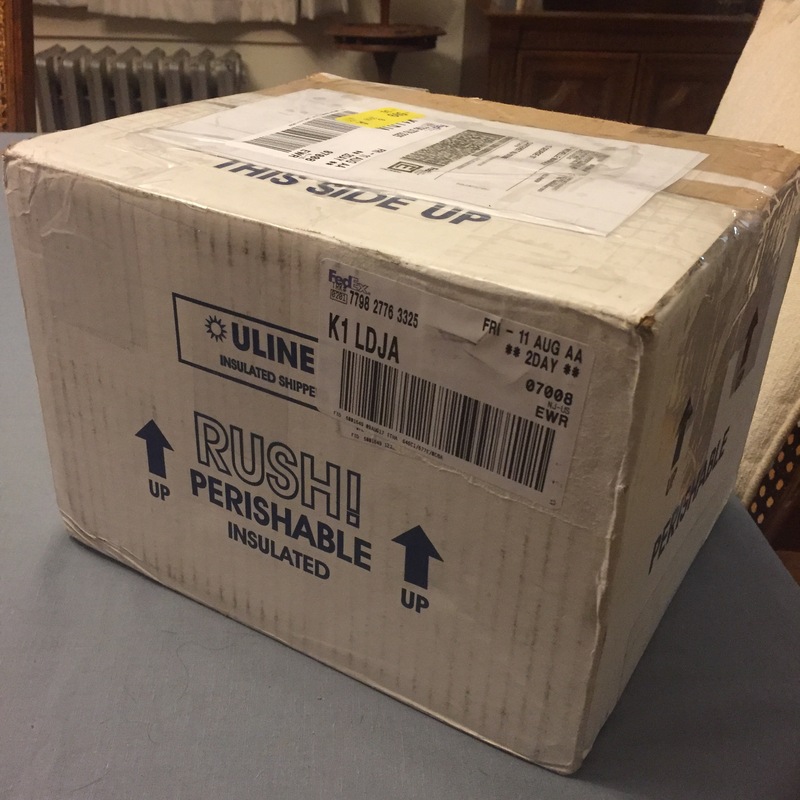 The box is from Cornell University and contains the items needed to collect samples of Toby’s lymphnodes when he passes away, so that they can be sent to the school’s biobank. I know that opening that box means that Toby is dead. When Toby’s blood collection kit came, which is done while he is alive, I couldn’t wait to open it and see all the items inside, inspecting the packaging and the kit for professional purposes and closely reading all the materials. This package, I kind of want nothing to do with, because it’s a constant reminder that my dog is dying. And, dying a lot earlier than his typical life expectancy. At the same time, it’s a reminder of how lucky we are. Lucky that we survived another day. Lucky that he is still feeling well enough to eat, play and be his happy little Toby self.